The woman who blew the whistle on alleged abuses in White House security clearance process says she faced humiliating forms of retaliation, according to Congressional documents. A memo circulated to lawmakers on the House Oversight Committee by Chairman Elijah Cummings (D-MD) details allegations that former White House personnel security director Carl Kline retaliated by placing files out of reach of whistleblower Tricia Newbold, who has dwarfism. Newbold alleged that Trump appointees began to retaliate against her after she raised concerns about security clearances being granted after career staff rejected the applicants. Cummings said in an April 1 letter that Newbold identified approximately 25 cases in which security clearance issuances were overridden by political staff, with the clearances going either to public officials or contractors. After Newbold started to raise concerns about the security clearances — one of which allegedly benefitted son-in-law-in-chief Jared Kushner — Kline allegedly began to retaliate against her. NBC first reported the retaliation claims, which are reflected in Cummings’s memo. In January 2018, Kline allegedly “began taking actions that were designed to humiliate her as a result of her rare form of dwarfism,” Cummings’ memo said. It took the White House two months to lower the files, Newbold is cited as telling lawmakers. Newbold, who has no prior disciplinary record after 18 years of work under Democratic and Republican administrations, received a two-week suspension without pay on Jan 30, 2019, according to Cummings’ memo. The stated reason for Newbold’s suspension was a “new policy” that Kline created in November 2018 to “scan documents in separate PDF files instead of a single PDF file when sending them to other agencies,” per the memo. “You are not in charge of the Personnel Security Division,” the notice read, per Cummings’ memo. Newbold also alleged that Trump officials are leaving personnel security files in areas where people without government escorts could access the documents, according to the memo. 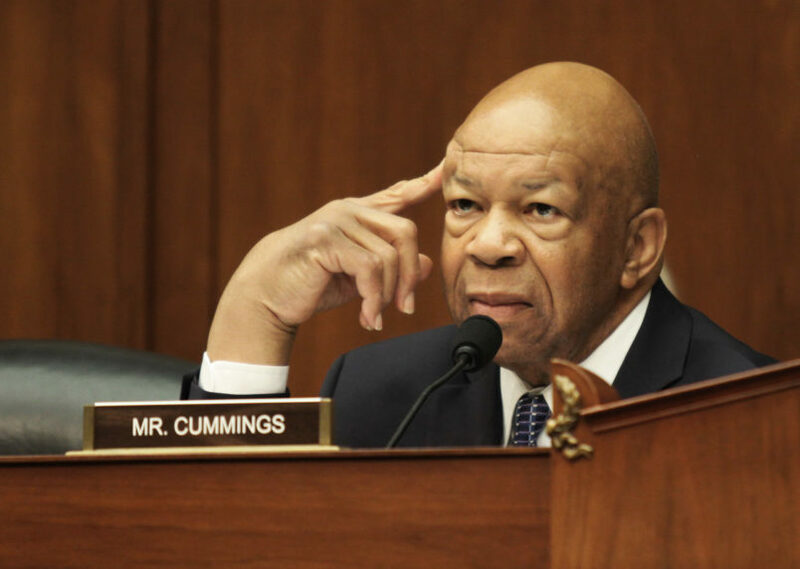 Cummings said in a separate letter that he intends to subpoena Kline about the security clearance issue.